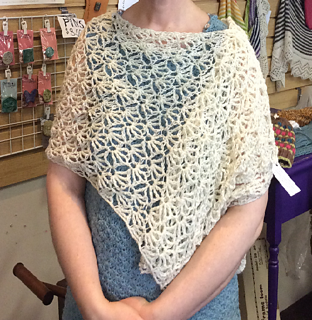 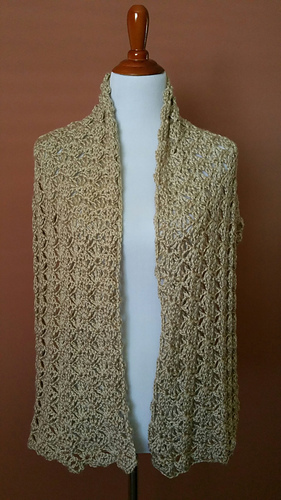 This elegant shell stitch wrap makes a gorgeous accessory for any occasion. 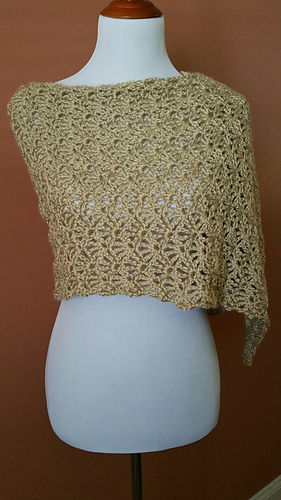 Wide enough to use as a wrap or to wear as wide scarf. 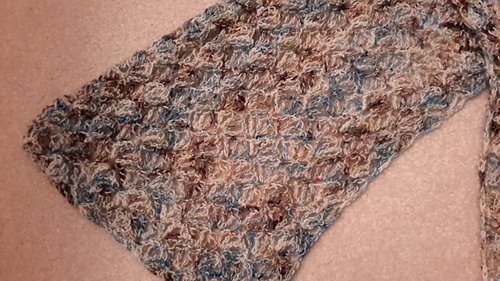 Made in half double crochet and treble crochet for the shell stitch. 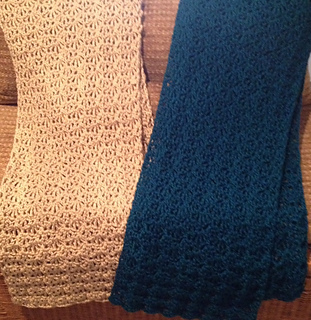 A K hook & 2 skeins of Caron Simply Soft yarn was used for the pictured wraps for a 15” wide x 58” long finished piece but could be made with any size hook/yarn you choose. 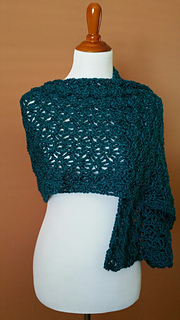 Pattern includes pictures to assist on placement of stitches. 2 row repeat after the first 3 rows. 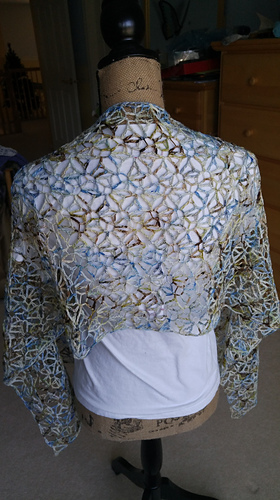 One of my favorite patterns…I’m sure you will love it too!